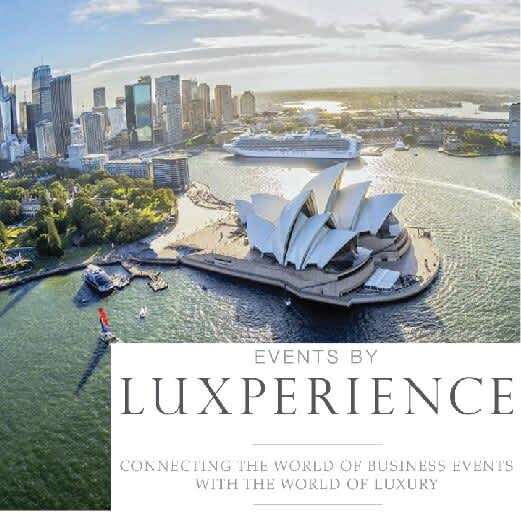 We wish you a successful Luxperience! 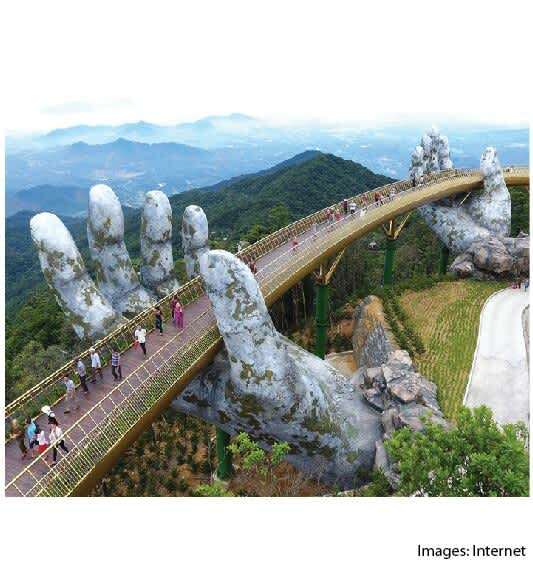 Designed by the Vietnamese architect Vu Viet Anh, this Golden Bridge is nestled between two larger than life hands 1000 metres above sea level, holding up a pedestrian pathway dressed in gold either side of the bridge. Visitors can enjoy a stunning view of surrounding mountain tops, as well as the feeling of walking in the sky. As it’s a new attraction which has gone viral online, please expect there will be a lot of tourists especially during weekends and national holidays. 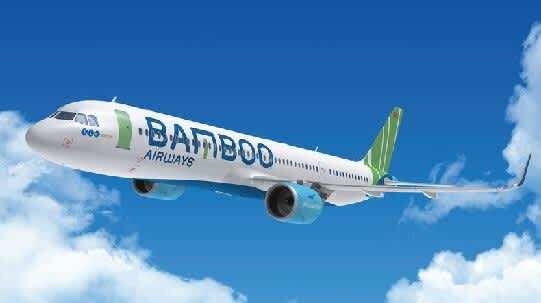 Bamboo Airways, is a startup airline by a Vietnamese construction company, FLC Group. It will offer 37 routes once it begins operations in October. The airline plans to initially use around 20 leased aircraft, both narrow and wide body. Bamboo Airways plans to offer up to 50 international routes beginning in 2019. The list of countries travelers will be able to fly to on the airline will include China, Japan, Russia, Germany, France and England. 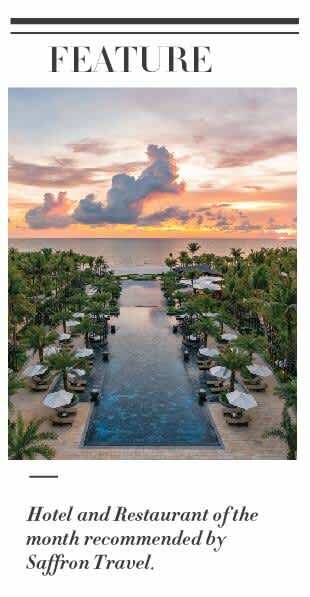 A Hyatt Regency hotel will open in Nha Trang in late 2019. It will offer 434 rooms designed in a modern style, a majority of which will enjoy sea views, more than 1,130 m2 of meeting space, multiple bars and restaurants, a fitness center and a swimming pool. 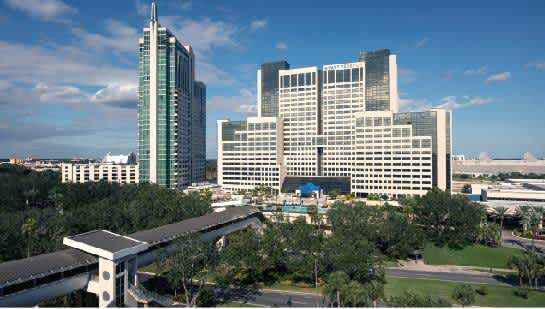 The hotel will be suitable for both business and leisure travelers. 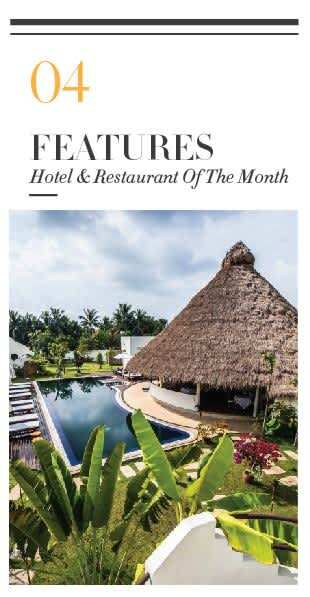 Sofitel Angkor Phokeethra Golf & Spa is offering a promotion of “Stay 4 nights Pay 3 nights” till Oct 31, 2018 and early bird promotion of 10% off for any booking with the travel dates between Jan 03, 2019 and Mar 31, 2019. 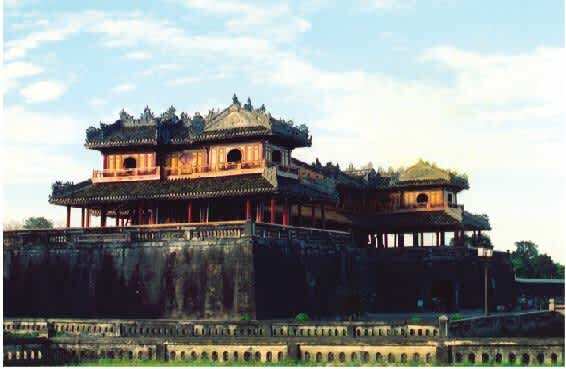 The hotel is conveniently located, just 10 minutes away from the famous Angkor Wat. 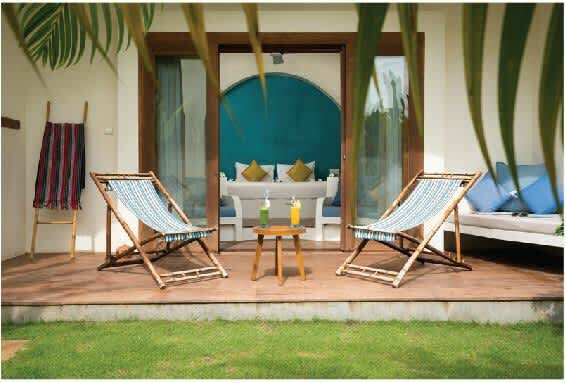 The architecture is inspired by French colonial design and surrounded by lush gardens. We are just months away from Thanksgiving and Christmas and it’s never too early to map out your travel plans for the festive season. 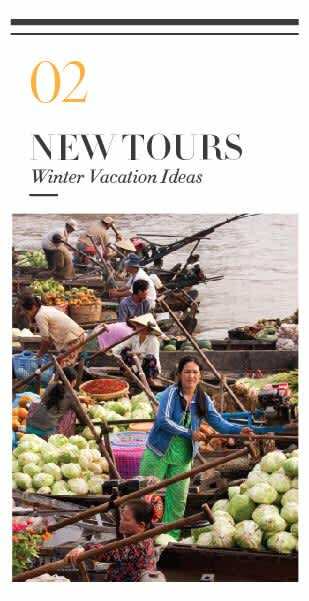 Whether you are thinking about a romantic getaway on a tropical beach, or an adventure with your family members, Saffron Travel are pleased to introduce to you to 2 of our favourite itineraries for your trips to Indochina this winter. 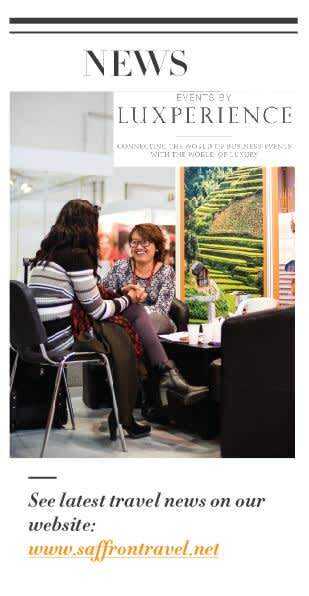 For those who have a limited amount of time, this short but comprehensive tour is an alternative for you to consider. 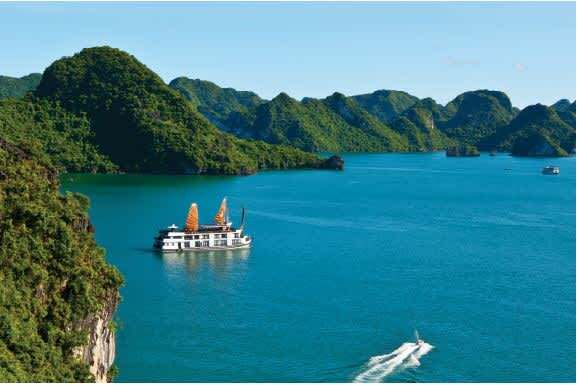 It is designed for medium pace and covers different destinations across Vietnam including: Hanoi, Ninh Binh, Ha Long Bay / Lan Ha Bay, Hoi An, Saigon and a beach stay on the island of Phu Quoc at the end of the trip. 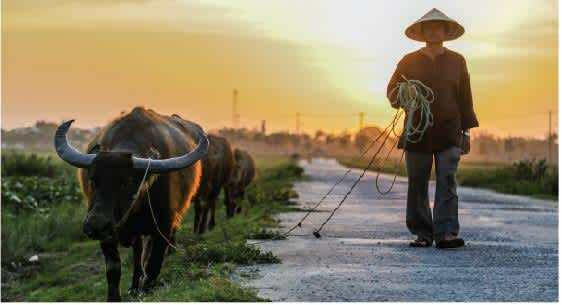 Make the most of the natural environment with an array of outdoor activities, including cycling around the northern countryside of Ninh Binh, a sampan cruise gliding through a mysterious, interlocking system of caves, and enjoy evening adventures in Vietnam’s liveliest city. 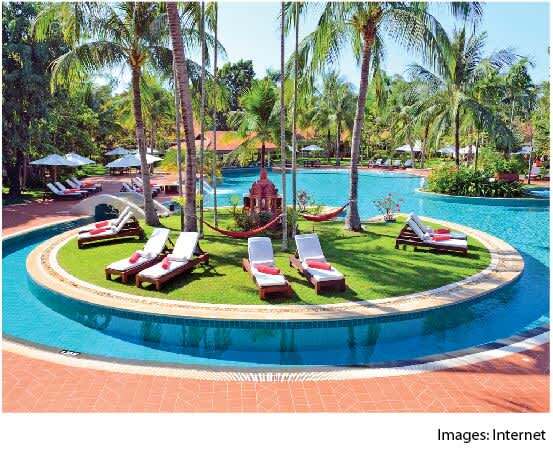 The southern islands, such as Phu Quoc, have ideal weather during the winter months and are perfect for a Christmas getaway. 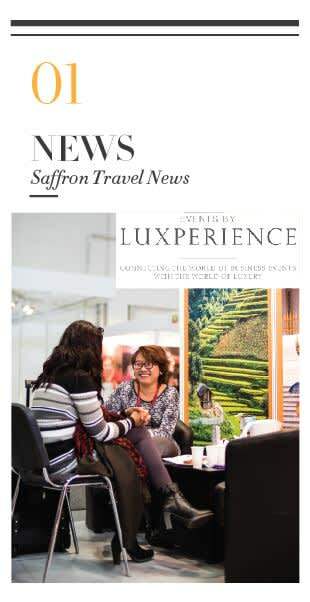 For any traveller who is interested in light adventure, culture and culinary arts, this tour won’t disappoint you. 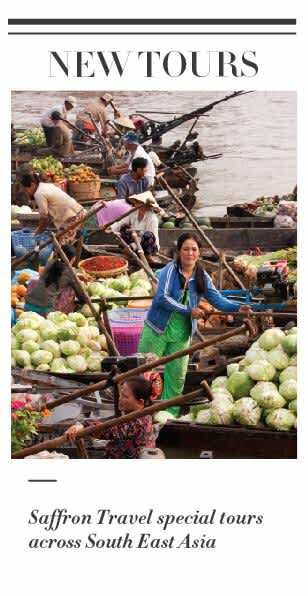 One of the main reasons visitors are drawn to Indochina is because of the richness, diversity and quality of its cuisine and culture. 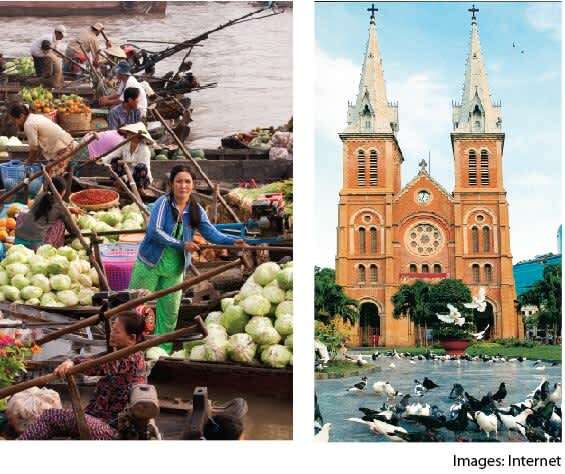 The tour starts in Hanoi, makes its way down to Hue & Hoi An, then to buzzing Saigon from where travellers take a direct flight to Siem Reap to explore the incredible temples of Angkor and finally discover the temples and waterfalls of Luang Prabang in Laos. 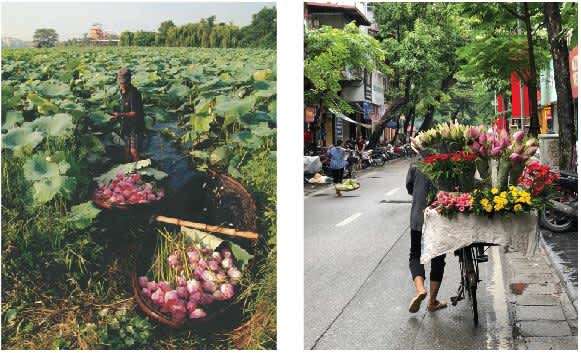 Along the trip, we include experiences to make your journey more unique such as: an overnight stay on a boutique junk cruising amongst the magnificent karst landscape of Lan Ha Bay; a cooking class with a local chef in Hoi An where visitors can learn to make delicious Vietnamese specialities; a visit to a wonderful jungle sanctuary for retired elephants where you can feed and bathe these incredible animals in a nearby river; and of course a trip the Angkor temples accompanied by an extremely knowledgeable archaeologist. Be sure to set aside enough time to explore the charming boutiques, delicious restaurants, lively street markets and buzzing nightlife. 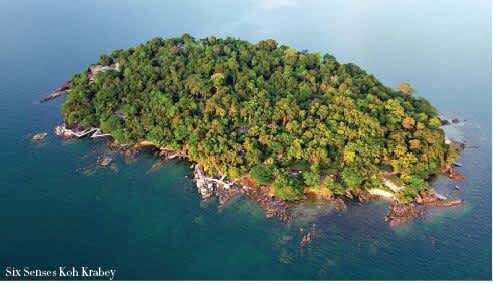 The islands of Koh Krabey and Koh Russey are located just off the coast of Sihanoulkville and easily reached from Sihanoulkville airport. 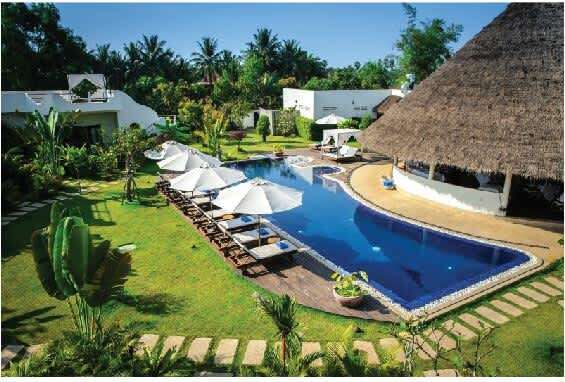 With its stunning coastline, dramatic headlands, tropical forests, all lined by untouched emerald waters and sandy beaches, these 2 islands are described as similar to those of “Thailand of 30 years ago.” The accommodation on Koh Krabey and Koh Russey add another reason for you to visit. 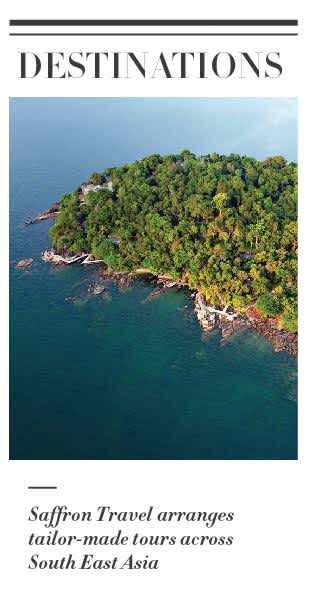 Both the luxurious Alila Villas Koh Russey and Six Senses Koh Krabey are set to open by the end of this year. 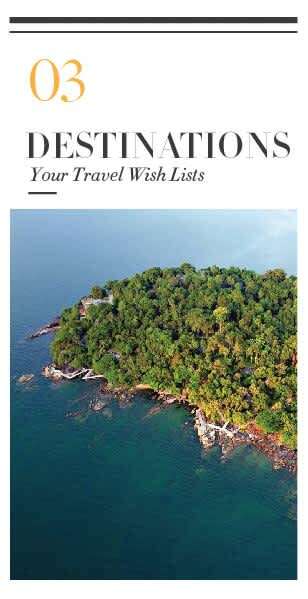 With international flights already operating to and from Sihanoulkville, the area is becoming one of Asia’s next hot island destinations. 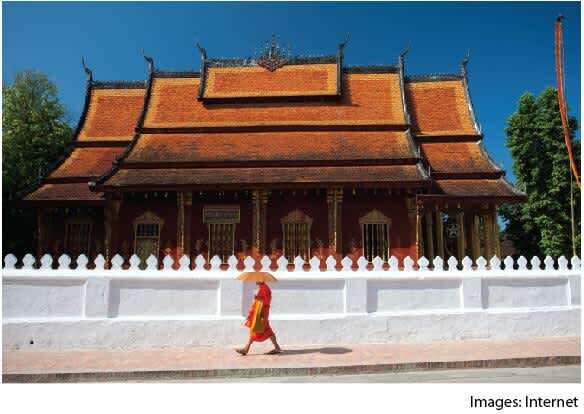 The Central Highlands (Kon Tum, Pleiku, Buon Ma Thuot, Dalat) have become a favourite for nature lovers, bird-watchers, and photographers alike. 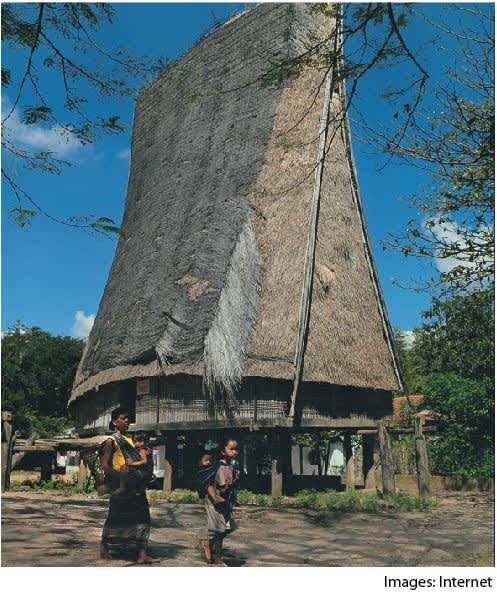 The area is home to many endemic flora and fauna, intriguing sights with rice terraces, picturesque river settings; and authentic hill-tribe villages with fascinating cultures and traditions.. We recommend you spend at least 3 days exploring this beautiful habitat. Located in a converted building close to the Post Office of Saigon, Bong Sung is a prestigious address for vegans and vegetarians alike. 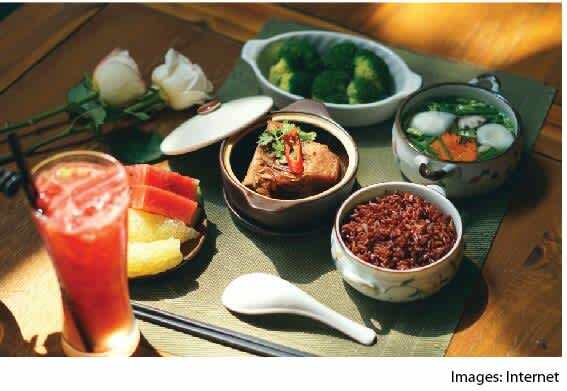 The restaurant serves authentic Vietnamese vegetarian cuisine. The décor is lovely and the menu is extensive. 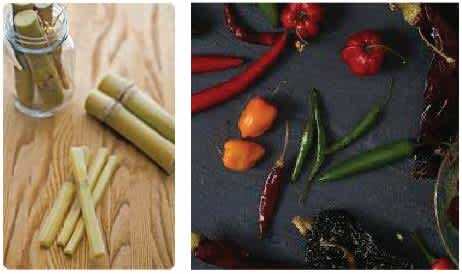 Our favorite dishes include: curry with coconut milk, banana blossom salad, and mushroom and tofu in pepper sauce. It has an intriguing homemade drinks list using the very best local herbs. If you visit Bong Sung for dinner, you can choose to sit outside. It has spacious balcony with very nice view overlooking Saigon. 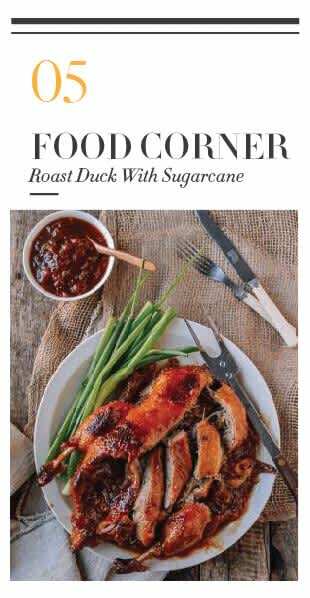 This month we introduce a different way to cook roast duck pairing it with sugarcane. 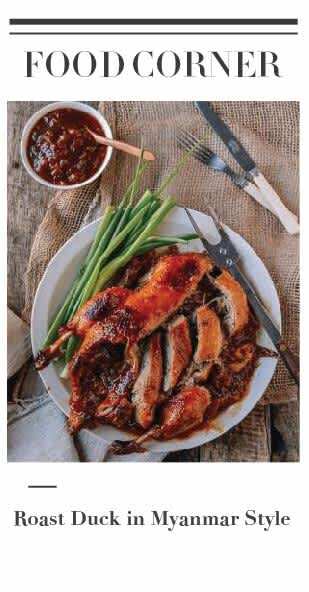 The mix between the sweetness of the sugarcane and duck meat and the spice of chili is a perfect combination. Clean and rub the duck cavity and skin with salt, then brush with the thick soy sauce. This can be done from one hour to overnight in advance. Chop half the celery very finely, the other half coarsely. Pour boiling water on the mushrooms and soak until soft ~ about 20 minutes. With scissors snip and discard the tough stems. Cut the mushroom caps into thin strips. Mix the pork sausage and the finely chopped celery, chopped mushrooms, soy sauce, salt and pepper. Lightly spoon this into the bird’s cavity. Jab 3 of the sugar cane sticks deep into the cavity and through the meat. 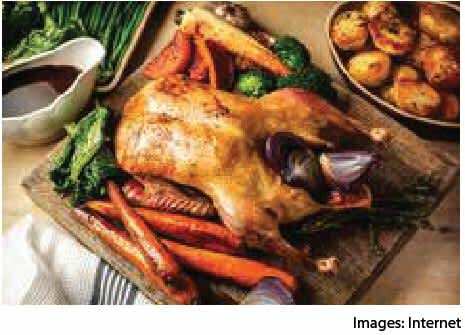 Arrange remaining sugar cane pieces to line the bottom of a covered roasting pan and top with a bed of coarsely chopped celery, set the duck on top; surround with garlic and whole onions or shallots. Heat the oil until smoking, then pour this over the duck to blister the breast skin. Cover and place roasting pan, uncovered, on the lowest shelf in a preheated 400°F/200°C oven; cook for 20 minutes. Cover duck with lid, then lower the heat 350°F /180°C and roast a further 30 minutes, turning over once. When done, the wing or leg should wiggle freely. Remove lid, use tongs to turn duck breast side up again, then roast uncovered a final 15 minutes. Remove from the oven, lightly cover with the foil, and rest before carving. When ready to serve, spoon the stuffing from the bird and put into a serving bowl. Cut the duck into serving pieces and transfer to a platter. Use the slotted spoon to remove the cooked onion, garlic and celery, and garnish with chili slices.